Along with the application development simplicity, MAF offers a robust Authentication and Authorization framework. 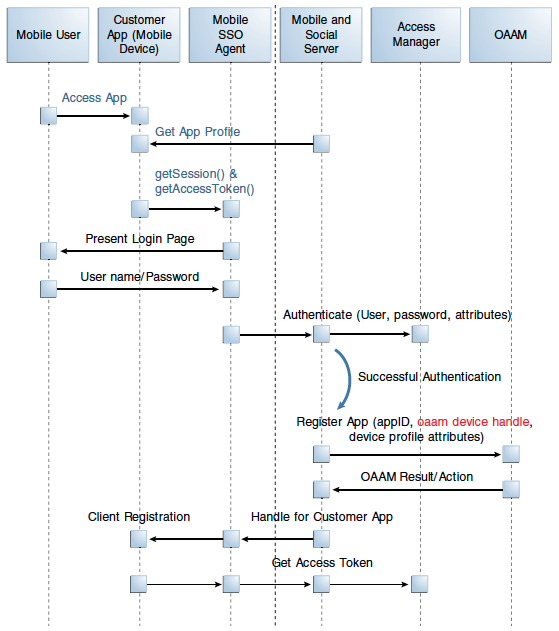 When used in combination with Oracle Access Management products such as Oracle Mobile and Social Server and Oracle Adaptive Access Manager, you can get the best of the breed security for your application with the features such as Single Sign-On among different applications within the same device, Device Fingerprinting, Knowledge-based Authentication etc. In this article, I am going to discuss the authentication features provided by MAF. 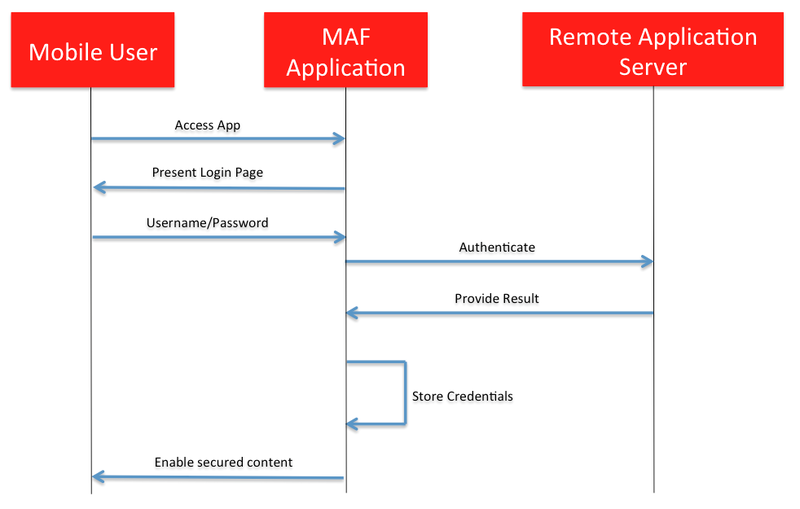 MAF offers different levels of security in an application depending on the content that is being displayed. Most of the applications have some content that should be accessed by the user only when he/she is authenticated along with the content that is available to anonymous (unauthenticated) users. That means, you can enable or disable authentication depending on which feature is accessed by user. On accessing a protected feature, MAF presents a login page. Only if user enters the valid credentials, MAF lets him/her access the contents of the feature. Developers can configure either default or custom login HTML pages. 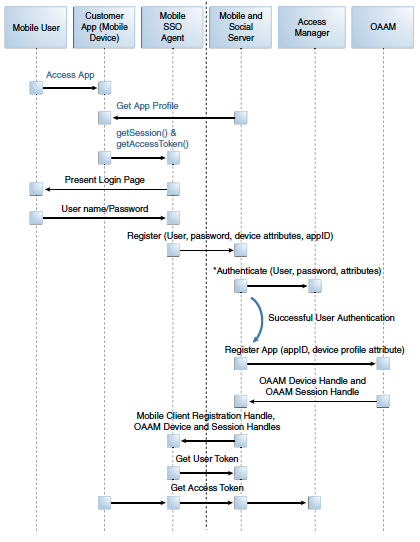 In case of strong authentication, the Knowledge based authentication can also be customised using the integration with OAMM. 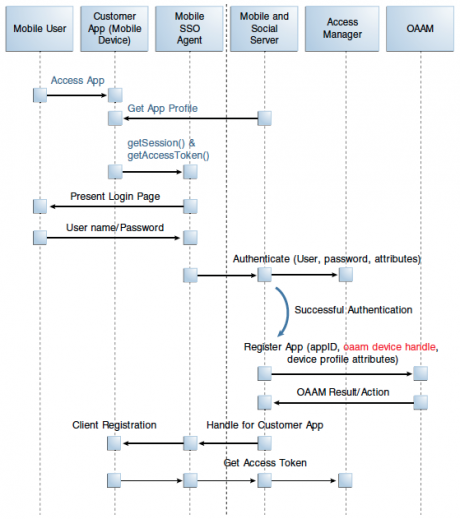 Oracle Access Management Mobile SDKs provide API for authentication, cryptography, user and role management and secure storage of the credentials. 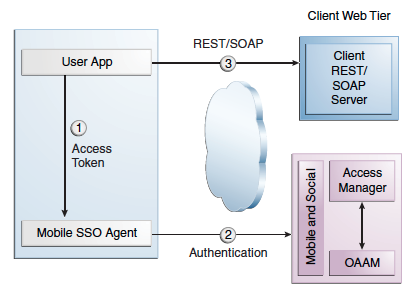 The SDKs support Basic Authentication and authentication through REST web services exposed by Oracle Mobile and Social Server. Generally the local credential store is populated during the first authentication request against a remote server. 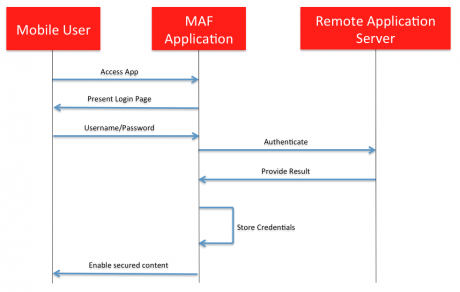 Once the user is authenticated against the server within the same application session, MAF stores the authentication context locally, allowing it to be used for subsequent authentication attempts if configured. remote: It requires the application to authenticate against a remote web application or identity server. If the remote server is not available, user will not be able to login. hybrid: The application will authenticate against the remote server as long as it can access it. The local credential store is used only when there is no network connection between the application and the remote server. MAF offers several choices of authentication protocols and methods which customers can avail depending on the needs of the applications. Apart from the development simplicity, MAF provides a robust security framework and when used in collaboration with Oracle Access Management products, it offers the best mobile security framework in the market. I am new to MAF and want to explore and learn it. Can you please let me know where can I find a document or a developer guide which covers most of the features.